As a passionate entrepreneur, you undoubtedly have a mind that is consistently focused on professional expansion and growth. Whether you’re an expert or a novice in starting a business, you’re here because you know that the time to create your dream company is now. Have you chosen the industry that will help you achieve your goals? Do you know what multi-unit franchise ownership can do for you? You soon will! You’ll find that a learning center franchise is the best path to success. Furthermore, being an owner of multiple profitable franchises is extremely beneficial and can give you the future you want. In order for any business to survive, there has to be a demand for the products or services that are being provided. There are many sectors within the franchise industry that may or may not survive the test of time and trends. The education industry is not affected by this uncertainty. Parents have shown, and will continue to show, concern about the state of the nation’s educational system. This is not always because school educators are inept. Instead, it is often an issue of the difficulty in fostering individual development. In many situations, it is hard for schools to allocate the time and resources necessary to ensure a single student masters all the concepts and competencies. With a learning center franchise, you will be fulfilling an ongoing need. Working in the education sector significantly increases your chance of operating profitable franchises. Many students require supplemental education to gain the foundation, skills and confidence necessary to flourish in a competitive academic environment. Moreover, you will be providing a valuable service to society and bettering your local community. The savings attributed to purchasing multiple franchises is immediate. In the education franchise sector, a great franchisor will offer incentives for opening more than one location. Furthermore, it may be no surprise that you will have overhead expenses while running you learning center franchise. From general supplies to advertising, there is continuous expenditure. Fortunately, multi-location ownership allows you to handle expenses in bulk. This means you’ll be able to take advantage of high-volume discounts. Moreover, marketing can be consolidated. For example, an advertisement for one center can effectively be used for all the other centers. You’re investing what you would for a single franchise, but you’ll be receiving a return from multiple profitable franchises. Another benefit is how it will affect your staff. A company is really only as good as its team. Having numerous locations shows your employees that you are concentrated on growing your learning center franchise. If they feel that there is potential for advancement, they are more likely to stick with you for the long haul. 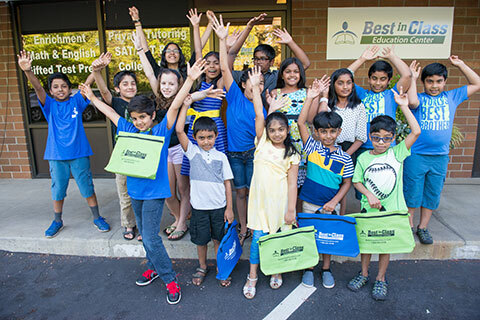 Best in Class Education Center has positioned itself as an optimal education franchisefor multi-unit ownership. Owners are encouraged to expand their businesses – so much so that franchisees are given substantial discounts for multiple units. In addition, one location only requires a commitment of 12 to 20 hours per week, so owners can easily devote their time to more than one center. As a result, 70 percent of Best in Class franchisees own multiple profitable franchises. The benefits of multi-location ownership within the learning center franchise sector are palpable. Don’t miss out on an opportunity to turn your hopes into reality.